A friend was on vacation, which included a visit to Las Vegas. 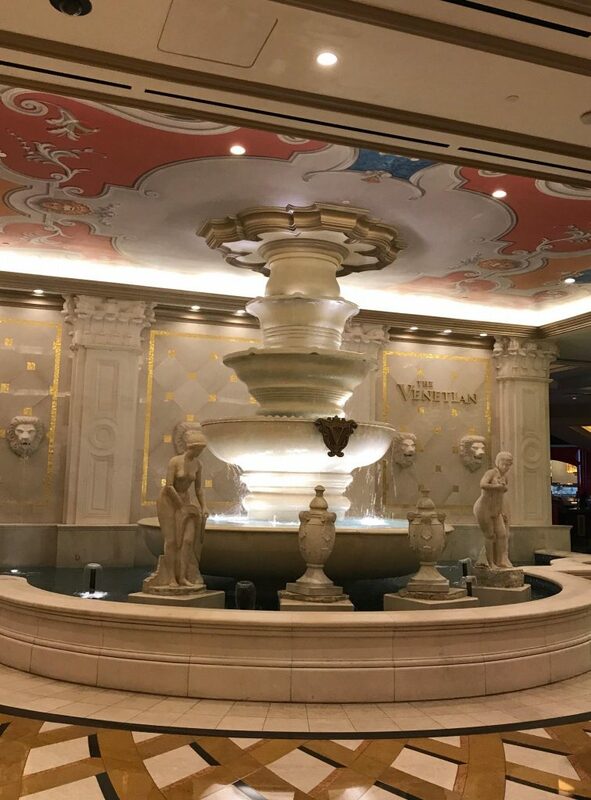 Knowing my love for fountains, she sent a photo by text of a fountain at the famous hotel. My online nickname for certain things is FountainB. My town is named after a fountain. I collect pictures of fountains for a Pinterest board. Why the interest in fountains? I already like water features, but I’m actually not sure where the interest in fountains started. However, the more I consider them, the more I can sense connections between fountains and my philosophy of life, much of which connects to my professional life. Fountains are a source of refreshment. I don’t know anyone who doesn’t enjoy a fountain. They are often the subject of pictures, and some become famous. I remember viewing an Instagram story of someone visiting the Trevi Fountain in Rome. It was a natural gathering spot. There’s just something refreshing about stopping and enjoying a fountain, whether it’s the cool spray you feel, the steady splashing sound, the artistic presentation or the group of people all enjoying the same thing. Professional application: Are you refreshing to be around? Do your clients or teammates feel like their life is better because you are in it? Are you a “fountain of information/wisdom” for them? Fountains are rhythmic. Fountains repeat the same movement constantly. The water is pulled up from pool are travels out through creative outlets. They are consistent. This rhythm and consistency reminds me of efficient systems in place in our work life–the routines and strategies that keep us moving forward and completing the tasks on our plates. Professional application: Do you have a rhythm to your work life, that allows for spurts of energy and focus and then some time to step back for rest and refueling? Have you thought through strategies that will make you more efficient and help your work flow more easily? Fountains need refilling and care. The person filming the Trevi fountain mentioned that it had recently been cleaned. Because of evaporation and mineral deposits, and trash from people throwing things into it, fountains need regular maintenance. How true for us as well. We cannot go full-out seven days a week and expect to be effective for the long-term. We also can’t hang on to the “trash” thrown our way by people we can’t control. Professional application: What are you doing regularly to maintain your health and spirit? How do you handle the negativity that comes your way? Drawing a parallel between a water feature and our professional life may seem unusual at first, but the next time you see a fountain, let it be a reminder of refreshment, rhythm, and refilling, and become a pro at being a fountain.